Abbas would have been squirming at Kerry’s use of the word “illegitimate” - rather than the word “illegal” - the term used by Abbas to deny Jews their claimed legal right to live in the West Bank. Israel’s Prime Minister Benjamin Netanyahu - on the other hand - would have been shaking his head in disbelief at Kerry’s claim that the United States has “always” considered the settlements to be illegitimate. The word “illegitimate” has several meanings in most dictionaries including -“illegal, unlawful, forbidden by law” - or alternatively - “incorrect, contrary to logic, unsound”. Only Kerry himself can explain which meaning he intended to convey. The PLO in 1964 considered the Balfour Declaration, Mandate for Palestine and everything based on them to be “fraud”. In 1968 the PLO deemed these documents to be “null and void”. Kerry in my view was not flagging America’s opinion on these Jewish and PLO claims. He was emphasising that Israel’s settlements policy in the West Bank was incorrect, contrary to logic, unsound - notwithstanding any claimed legal entitlement to so act. Israel obviously does not agree with Kerry’s viewpoint - and continues to build and plan new houses in the West Bank in the belief these programs should not provide any justified excuse for Abbas to abandon the current negotiations. A unilateral ten month building freeze by Israel in 2010-2011 brought no end to the conflict. Another similar freeze now could reasonably be expected to have very little impact - if any - in achieving a successful breakthrough. The parties reportedly still remain apart on many substantive and sensitive issues far more serious than building houses over the next six months within heavily populated and decades-long established Jewish cities, villages and towns. More alarming than trying to interpret Kerry’s ambiguous use of the word “illegitimate”- is his unambiguous claim that America has “always” considered the settlements to be illegitimate. “Many years” is clearly not “always”. History also incontrovertibly denies Kerry’s claim. 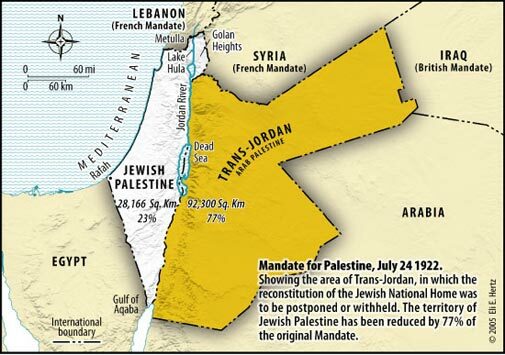 Jewish settlement in the West Bank between 1927 -1948 was never declared “illegitimate” or “illegal” by America. President Bush acknowledged in his 14 April 2004 letter to Israel’s Prime Minister Ariel Sharon that it would be unrealistic to expect that all Jewish settlements built in the West Bank after 1967 would have to be uprooted. Historical amnesia - Kerry-style - has been - and apparently still is - a potent factor in failed American attempts to resolve the Arab-Jewish conflict. Such ignorance has clouded the thinking of many former well-intentioned Secretaries of State - who became ticking time bombs destined to end up on the political scrap heap because they tried to undo what was internationally guaranteed in former Palestine ninety years ago. Kerry seems destined to join his failed predecessors.